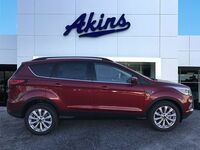 You can expect to find over 100 new Ford Escape models in our Akins Ford inventory on any given day, which should tell you all you need to know about how we feel about the 2018 Ford Escape lineup. 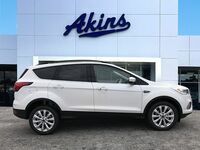 In fact, the new Ford Escape lineup is the most popular new Ford SUV lineup here at Akins Ford near Atlanta, GA, and we’ve got quite a few ideas on why that is. For starters, the 2018 Ford Escape lineup offers a wide array of engine choices that all effectively combine powerful capability and money-saving efficiency. 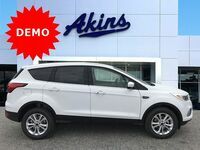 The new Ford Escape lineup also offers a stylishly sporty exterior, a spacious and roomy interior and a comprehensive suite of advanced new safety, technology, comfort and convenience features. Put simply, the 2018 Escape is the perfect choice for anyone looking to purchase a new SUV. And we’re going to show you exactly why that is with this 2018 Ford Escape versus 2018 Mazda CX-5 head-to-head model comparison. 245 HP/275 lb-ft. Max Power Ratings (Horsepower/Torque) 187 HP/186 lb-ft.
There’s really not much the 2018 Mazda CX-5 can do that the 2018 Ford Escape can’t do better. 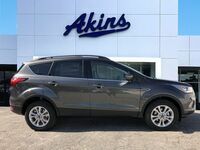 Other than offering slightly more total passenger space, the new Mazda CX-5 pales in comparison to the new Ford Escape. 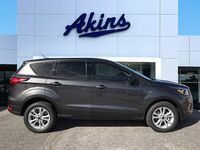 For instance, the 2018 Escape lineup lets you choose between three engine choices, the most powerful of which provides 245 horsepower and 275 pound-feet of torque. The 2019 CX-5 lineup, on the other hand, offers only 187 horsepower and 186 pound-feet of torque from its sole engine option. The 2018 Ford Escape lineup also completely dominates the 2018 Mazda CX-5 lineup in terms of cargo space. The new Ford Escape lineup provides 34 cubic-feet of cargo space when its seats are in place and 68 cubic-feet of total cargo space, whereas the new Mazda CX-5 lineup provides only 30.9 cubic-feet of cargo space when its seats are in place and 59.6 cubic-feet of total cargo space. 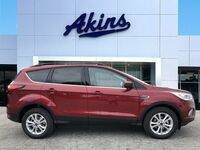 To learn more about the 2018 Ford Escape lineup, please get in touch with our friendly Akins Ford staff near Atlanta, GA. 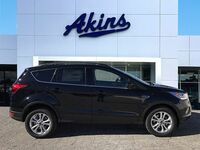 Interested in a Ford Escape?